Hey everyone! It's Candace from Candi O. 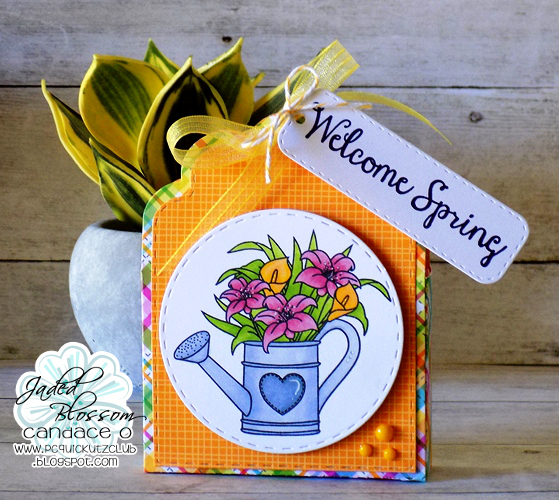 Designs and it's my day over at Jaded Blossom and I am sharing a couple of projects I made using the Monthly Spotlight Stamp Set ~ Springtime Greetings. 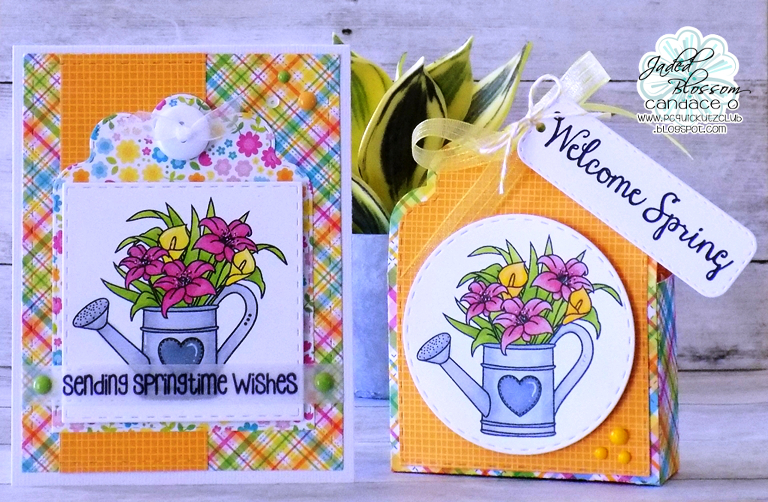 I'm ready for Spring and this set is just perfect to start springtime projects!! I made a little gift box and matching card. 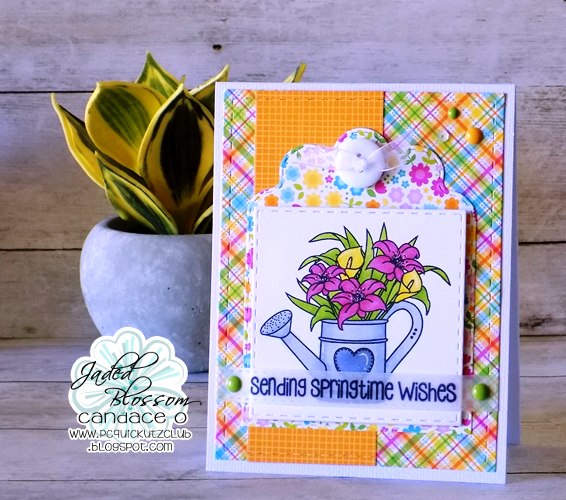 For the card, I stamped the sentiment on vellum so you could still see the adorable watering can behind. 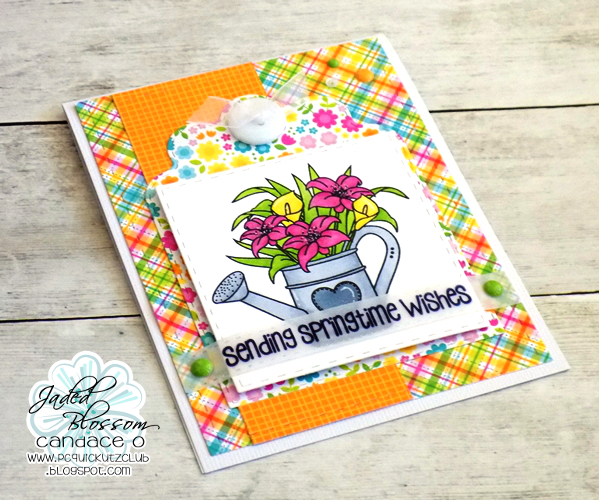 your own Springtime Greetings Stamp Set at a great price this month! I love the pretty bright colors!! GORGEOUS! !